Myrtle Beach - Coming Soon! 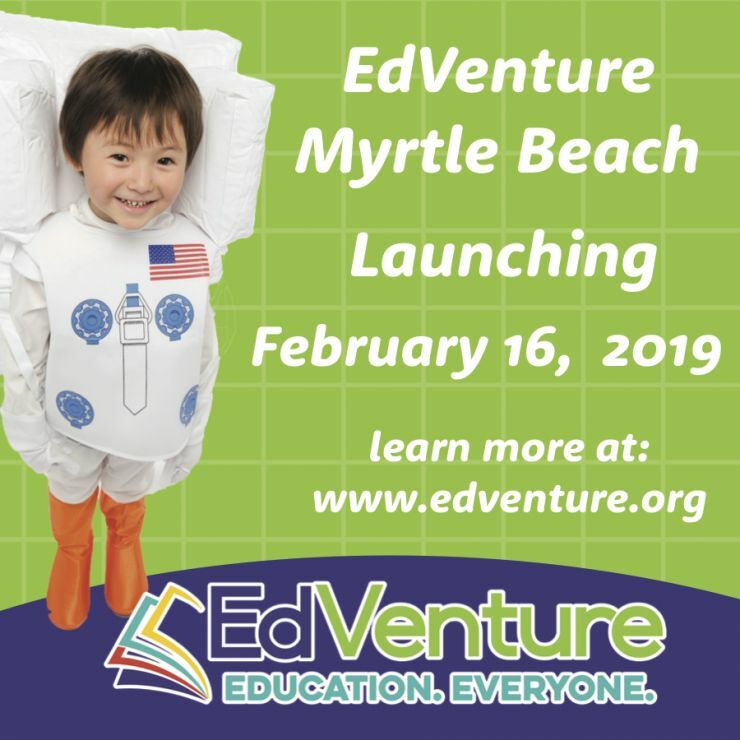 Come celebrate the Grand Opening of EdVenture Myrtle Beach on February 16th! At 9:45am we will be officially cutting the ribbon, and opening this amazing flight/space themed EdVenture satelite location for the general public! The museum will be open from 10am-6pm that day! Already a member of EdVenture? Then come see a special member preview on Friday, February 15th from 3pm-7pm! Experience this brand new location a day early!